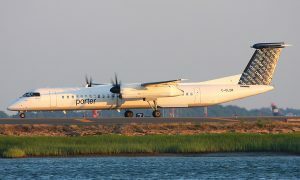 Porter Airlines arrived yesterday in the City of Bridges with its inaugural flight to Pittsburgh. People flying to Toronto will benefit from Porter landing in the heart of downtown at Billy Bishop Airport. This gives Pittsburgh access to the city like never before, with the financial and entertainment districts just 2.5 km or 1.5 miles from the terminal. The airport’s convenient Toronto Islands location now includes access to the recently-opened pedestrian tunnel. This connects the airport with the mainland in approximately six minutes, saving passengers valuable time. Ferry service is in place for vehicle access and as a secondary pedestrian crossing. 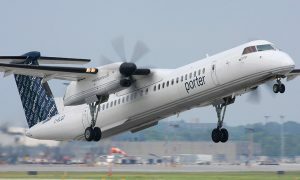 Porter will operate two daily weekday roundtrip flights departing Toronto at 8:25 a.m. and 3:05 p.m. Return flights depart Pittsburgh at 10:05 a.m. and 4:45 p.m. Weekend service includes one roundtrip on Saturday and two on Sunday.